Poor things. 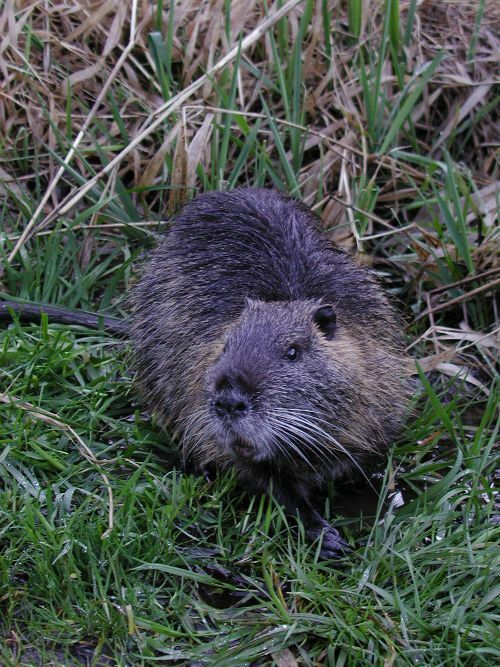 Nutria are considered invasive species to our continent, but it is our fault. We brought them here for the purpose of raising them for their fur. 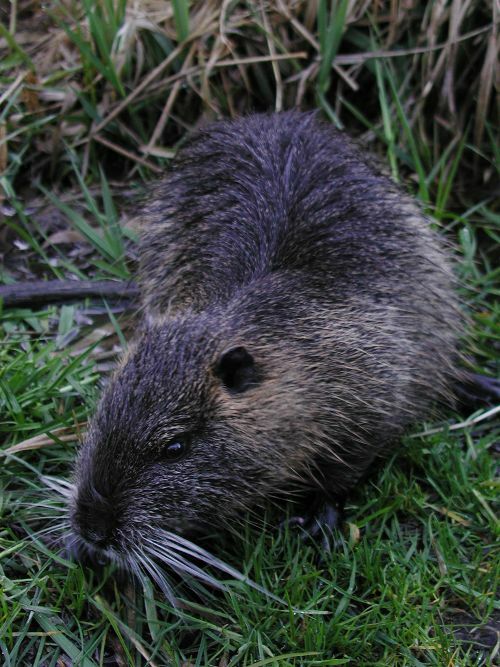 Now they are breeding out of control and considered a pest. Too bad, so sad. Greedy people. I don't care. 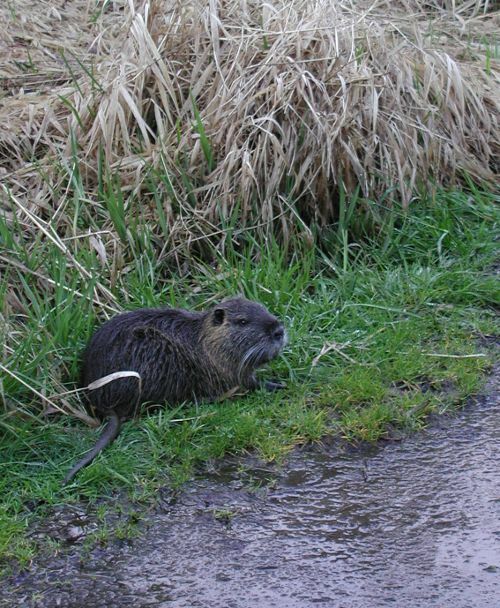 I like my new friend, the nutria... even if he does have an ugly rat tail and weird orange teeth!